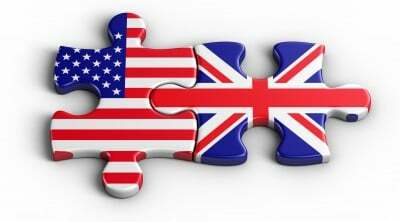 The British and US governments have taken on the role of self-appointed global enforcers of the new world order, or rather disorder, that has emerged since the end of the Cold War. Far from solving issues like terrorism, their approach has more often than not made them more intractable. Britain was committed by New Labour to a perpetual ‘war on terror’ now rebranded by Washington as ‘The Long War’ that is based on simplistic notions of ‘good and evil’ and the imperial concept of a ‘clash of civilisations’. (Ed: following Conservative governments have made the same commitment). After listing the number of Iraqi civilian deaths McDonnell cites the US government’s National Interest Estimate that the conflict has ‘greatly increased the spread of the Al-Qaeda ideological virus’ and the rising number of terrorist attacks he ends, “Some 55% in Britain say they feel the government’s policies have made the country a more dangerous place” (link added). The European Parliament approved a damning report on secret CIA flights, allowing the US to forcibly remove terror suspects through the illegal practice of ‘extraordinary rendition’, taking suspects to states where they could face torture. British intelligence informed the CIA that British citizens, falsely described as Islamist were travelling from the UK to Gambia. Some were imprisoned on Guantanamo Bay where many testified that they were mistreated. Arms and technology continue to be sold to ‘countries of major concern’ and the development of the replacement Trident nuclear programme despite its treaty commitments to nuclear non-proliferation was ‘forced through Parliament’. A new approach is absolutely needed. New Labour and successive governments have willingly accepted the transfer of decision-making powers to the WTO, IMF and the World Bank which have driven globalisation. The WTO promotes liberalisation of trade rules at the expense of developing countries, giving corporations wide intellectual property powers to patent basic commodities like rice. The World Bank has made privatisation of scarce resources like water a condition of many of its loans and the IMF’s structural adjustment programmes” leading to cuts in social spending. New democratic global governance structures are needed, representing the interests of all on an equal and fair basis. Aid to developing countries is too often subordinate to the opening up of markets on terms that ultimately benefit the donor countries. If current trends continue the UN HDR for 2005 warned that the Millennium Development Goals (thought to be achievable by 2015) will be missed by a wide margin and this failure will have profound implications not just for the world’s poor but for global peace, prosperity and security. The withdrawal of British troops from Iraq and Afghanistan alongside a pledge that a British government will never again carry out unilateral, pre-emptive acts of aggression against a sovereign nation (Ed: and, in the light of post 2007 developments, would never again give covert assistance to other states undertaking such operations). The establishment of a Ministry for Peace at the heart of government. Based on its experience of securing peace in Northern Ireland, Britain could transform its role in the world from military aggressor to one of conflict prevention and conflict resolution. Scrapping the Trident replacement programme, which would be the signal for winding down of Britain’s arms industry, with a parallel programme of arms conversion to create alternative jobs and alternate uses for production plants. An end to double standards whereby Britain is silent on human rights abuses committed by ‘friendly’ governments like Columbia, Russia, the Saudis, Egypt and the US. A campaign for an alternative European model based on social equality, redistribution of wealth and democratic rights. An end to the refusal to deal with the Palestinian government; convening of an international conference with the stated aim of creating a viable Palestinian state. Support for countries like Venezuelan Bolivia, Cuba and other countries pursuing policies that create alternatives to the market economy and control of TNCs, the WTO and the IMF. An increase in the international development budget to 1% of GDP and the promotion of reformed democratic structures of world governance. As John McDonnell says: another way is possible.